It's Springtime, so that must mean it's Audition Time! WHO: Any theater artist wanting to meet Single Carrot and share their work. WHERE: Single Carrot Theatre, 120 W. North Avenue, Baltimore. WHAT: Single Carrot seeks artists for the 2011-2012 season including: actors for productions of Church and Hotel Casseopeia; designers, dramaturgy, stage management, carpenters and technicians for all productions; and fellowship positions (more information about fellowships available upon request). 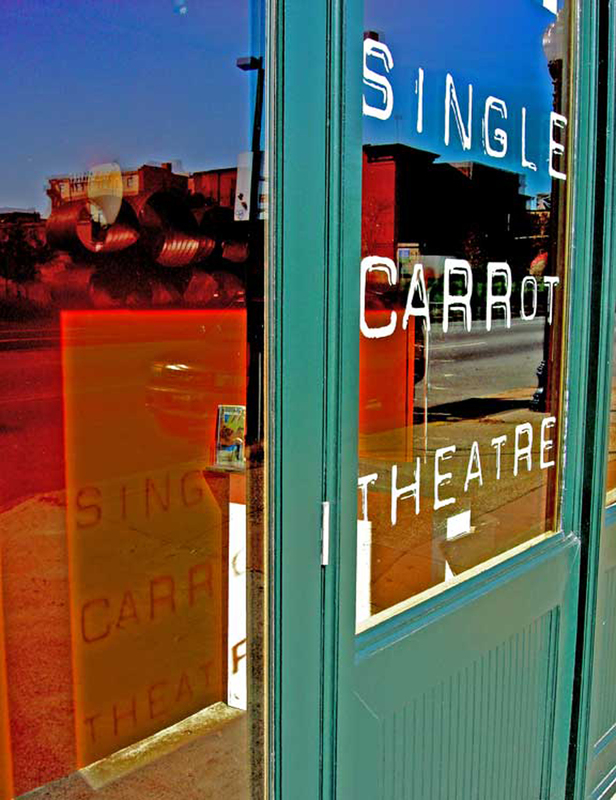 WHY: Single Carrot is seeking artists to fill various roles next season. HOW: To reserve a time slot, e-mail Nathan Cooper (ncooper@singlecarrot.com). Please arrive 10-15 minutes early for your time slot. Please bring a professional resume and theatre resume for consideration in all positions. Actors please bring an 8 x 10 headshot. Actors: (roles in Church, and Hotel Cassiopeia) present two contrasting monologues; no more than 2.5 minutes total. Carpenters and Technicians: bring portfolio. Designers: (Set, Electrics, Properties, Crafts, Sound, Costumes) - bring portfolio. Dramaturgy: bring portfolio, or show book. Stage Management: bring portfolio or show book. Fellows: applications and more information available upon request (interviews will be held for any fellowship candidates).